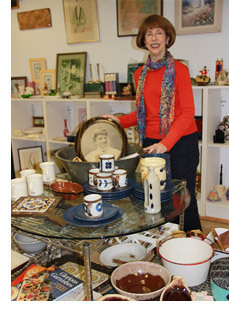 The Helen Sanders Thrift Shop at Daughters of Miriam Center/The Gallen Institute is run under the auspices of the Daughters of Miriam Center Auxiliary. Located at the side entrance of 127 Hazel Street, the thrift shop is staffed entirely by volunteers and is open Monday, Wednesday and Friday from 10Am to 3PM. It is a bargain hunter's dream, filled with new and gently used household items and clothing with many designer labels to be found among the racks. 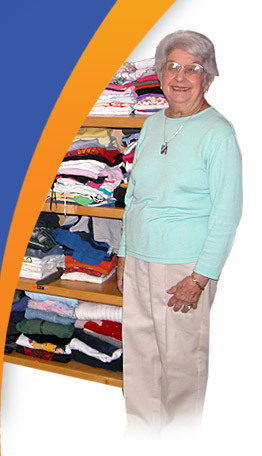 The thrift shop was named for Helen Sanders, a long-time volunteer and president emeritus of the Daughters of Miriam Auxiliary. Twenty years ago, Mrs. Sanders held a flea market to raise funds for Daughters of Miriam Center. That first flea market raised $1,500 and grew each year netting $15,000 annually for the Center. 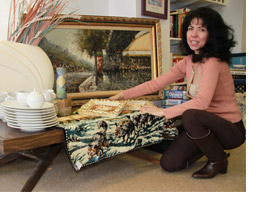 Not content with those efforts, Helen wanted to create a thrift shop where items could be sold year-round. A fund-raising campaign, spearheaded by the late Adele Rebell, raised the money to create the thrift shop. All proceeds from the shop benefit the seniors at Daughters of Miriam Center/The Gallen Institute. For more information or to donate new or gently used clean clothing or household items, please contact the thrift shop by clicking on the link or by calling 973-253-5377.